Applying eyeshadow over the eyes has become an essential part of eye makeup. It makes the eyes look alluring and adds charm to a lady’s overall appeal. Covering the lids of the eyes, the eyeshadows quickly helps to grab the attention from the onlookers. A custom made eyeshadow box; is sized and shaped as per your requirement and the design will be unique, only to your company. These custom made boxes are mnemonic to the name of your company. Your unique eyeshadow box will help your customers identify your company, without even looking at the name on top of the cover. A great product needs to have an equally great packing. Your customers will face difficulty in using the product if it is not packed properly. So you will need to spare thoughts on the eyeshadow packaging. A great packaging will not only protect the product from getting damaged but will also contain the logo and name of your company. You need to create an attractive exterior, to create a buzz for the product, among your buyers. Selecting the material and design for the packaging of the product is what has made custom packaging more popular among business owners. You can bring your imagination to life by packing the product in a way that will wow your customers. You will get a multitude of design option from GoStickers from which you can choose the one that you think will best for your products packing or you can give us your design and we will use our premium techniques to materialize it. A simple thing as the packaging of the product will help you too spread your companies name among the ladies. The palette of the eyeshadow is what helps to differentiate and store the various colors of the product. These custom-made eyeshadow palettes store not only the product but also the brushes with which the ladies can also apply the product on their lids. You can design a small palette with a limited color option, which will be easier for the ladies to carry around in their purse; and use it on the go: or, you can have a larger palette designed with more color option for them to get ready for a party. You can get a cardboard eyeshadow palette designed to in whatever way you feel like. You make it smaller or larger according to your need. You can also accessorize it with mirrors so that the ladies can do their eye makeup en route to a party or their workplace. The main reason that is driving more and more businesses to choose custom packaging is that the materials can be recyclable and so does not pose threat to nature as well. By customizing the palette you can give it any shape that you think will make the product look more appealing to the customers. You can also choose the color of the palette that will provide a contrast to the color of the eyeshadows; you can highlight the borders; make the palette glossy; emboss it with intricate designs, or anything that will make ladies choose your product. The custom made boxes are what most companies that do eyeshadow manufactures are opting for. They can create their exclusive design through this method. They can put their company’s name and logo on the cover along with a small description of the product along with its sides. The description of the shadows enlightens the customers more about the product they are about to use as well as get acquainted with your brand. The custom made shadow box is easy to use as they are designed to be more contrite and come with a brush that enables the ladies to apply the makeup on. 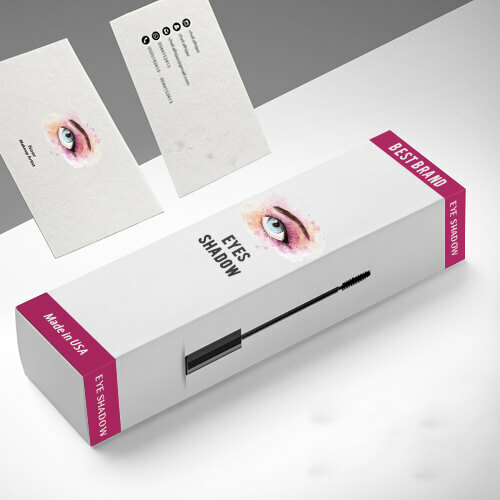 These boxes also feature a glass which allows the users to perfect their look before they step into the party or their office. It will help you if you put in all your shadow box order at a time as GoStickers enjoys the reputation of shadow box wholesale suppliers who also offer premium printing procedure to our clients. This will allow you to stand head and shoulders above your competitors.